›Jewelry 14K White Gold Princess Cut Black Diamond Stud Earrings 2.50 CT. TW. Jewelry 14K White Gold Princess Cut Black Diamond Stud Earrings 2.50 CT. TW. A pair of perfectly matched princess-cut black diamonds are set in a rich 14K white gold 4-prong mounting. 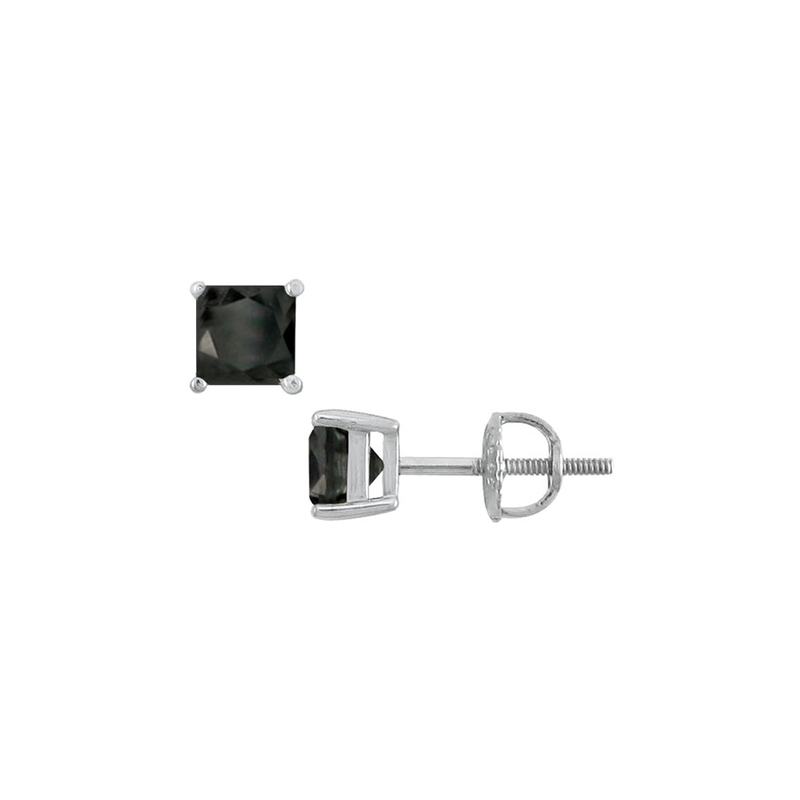 These black diamond stud earrings have a total weight (TDW) of 2.50 ct and are available in either screw-back or push-back. The TDW includes the combined weight of both diamonds.